A home is where lives are built, memories are made, and it's the one place that offers a significant level of comfort unlike any place else in a person's life. This truth forms the foundation of 5 Star Home Care. 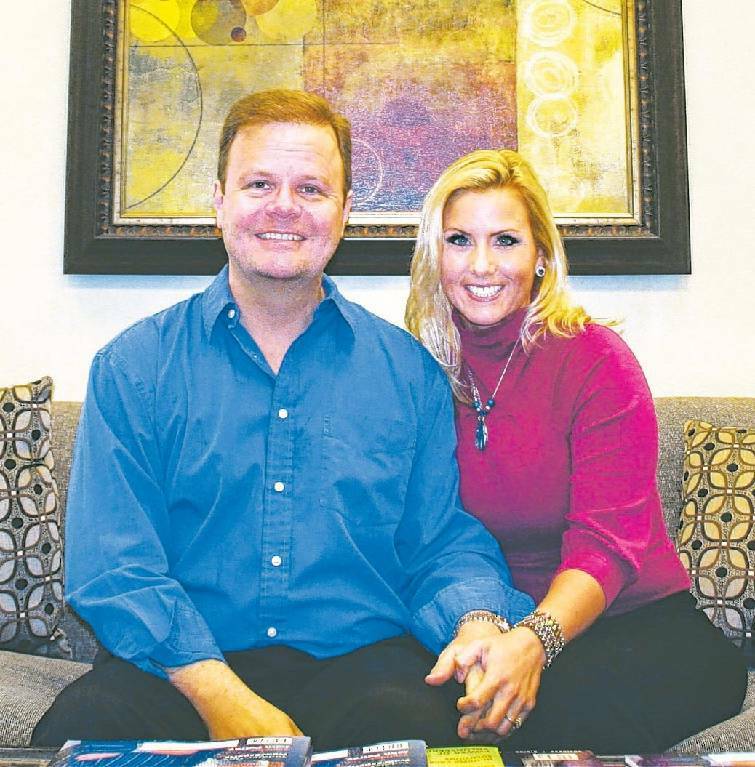 Five Star owners Kenny and Melissa Higdon help keep clients in their homes. The state-licensed home care provider offers non-medical personal care, assistance and companionship for clients to help them maintain their independence and be able to stay in their homes. Services offered include everything from meal preparation and errand running to laundry and personal care. "Home: there's no place quite like it," said Kenny Higdon, president of 5 Star, of the company's slogan. "That's the main reason why people choose us. No place offers comfort more than your own home." Care levels range from having someone in the home for minor assistance and companionship a few hours a week to 24/7 care. 5 Star also has caregivers qualified to help clients with Alzheimer's, dementia and Parkinson's disease. Care plans are customized and tailored to each client's needs, said Higdon. Continuous care is provided in any situation to maintain quality companionship and build solid relationships between clients and caregivers. "We are a family-owned business. so we know how important family is," Higdon said. "I started 5 Star Home Care in 2007 after seeing the challenge my mom had when she was trying to find someone to help care for my grandmother. My mother wanted to find someone caring, honest and who would be gentle with my grandmother. She found there was no agency that could offer what she needed, so she decided to provide the care herself. I remember wishing there was a company my mother could call on so she could get out and enjoy her own life. "I wished there was a company she could rely on like I had always been able to rely on mom and dad when I was younger. It was for that reason that I created 5 Star Home Care. The premise was to operate a trusted company that treats clients with the same dignity and respect we treat our own family." After the initial contact, a health care consultant visits the potential client and their family at home to find out about their lifestyle, personality and what they need in terms of care and service. The client is matched accordingly with a caregiver who best meets their needs and meshes well with their personality. "All our caregivers are screened, trained, bonded, insured and supervised by 5 Star," Higdon said. "Most of our caregivers are certified nursing assistants." To qualify, all caregivers must have one year of managed experience in the field and pass rigorous background checks. Higdon said he only hires caregivers who truly care about their clients and want to be in the business of helping people. "What sets us apart from others in this field is that everyone from me to our sales staff to our schedulers and caregivers treats every one of our clients with ethics and dignity," Higdon said. "We treat them like they are our own grandparents and family." He added that helping clients maintain their independence, dignity and privacy is what all 5 Star's staff strive to do above all. A unique way that 5 Star lives out the golden rule is by offering a 24/7 phone service through which clients and their family can reach staff at any time during any situation. "We have 24/7 on-call support provided by a member of our team, not just an answering service or machine." said scheduling coordinator Richard Williams. He gave the example of a grandmother having emergency surgery and needing someone to sit with her in the hospital at 2 a.m. "You can call me and we will find someone to come and help even at 2 a.m.," he said. 5 Star Home Care provides professional, comprehensive home care to people who need help performing day-to-day activities. Staff assists individuals living with a disability, recovering from an injury or illness, or facing daily challenges that come with aging. Staff members are set up to work in the home or at assisted living facilities, hospitals or nursing homes.